Chaitanya Sambrani studied Economics (BA Hons)and Art Criticism (MA) at the Maharaja Sayajirao University, Baroda, India. He taught art history and theory at the K. Raheja Institute for Architecture, Mumbai from 1995-98 before relocating to the Australian National University, Canberra, to undertake a PhD in Art History and Curatorship. He has taught Art Theory at the ANU School of Art since 2002, where he is now Senior Lecturer. His teaching concentrates on modern and contemporary art in Asia. 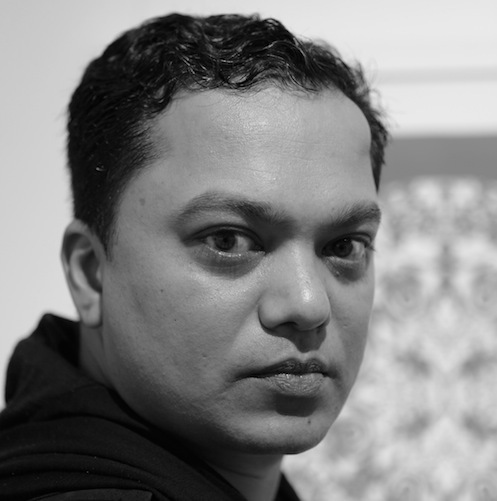 His curatorial projects include Fire and Life (India and Australia, 1996-97), crossing generations: Diverge (Mumbai, 2003), Edge of Desire: Recent Art in India (Perth, New York and tour, 2004-07), and Place Time Play (Shanghai, forthcoming, 2010). Sambrani has contributed to significant anthologies, exhibition catalogues, periodicals and conferences in several parts of Asia since 1995.